Once the determination has been made to sell your property the next consideration is how to go about it. Remember when you purchase the property? You were convinced that the seller was trying to make a killing and had the property priced well above its fair market value. Well, now the shoe is on the other foot. Now you are the seller and any potential buyer will feel that you are the one trying to make a killing. He can, as you did, find out exactly how much you paid for the property by performing land search at the land office. Perhaps I should clarify something at this point. It was suggested that you check the records at the land office and find out how much the present owner paid for a property. You discovered Mr. Seller would make a $70,000 profit at his price. Likewise, the potential buyer you have can find out that you expect to make a $40,000 profit in just five years. The point is, do not judge a property’s value by how much profit you are willing to allow a seller to make. Remember, the value of an investment property is in direct proportion to the income it is producing (read “How to estimate the value of a property?”). I might add, that is the income it is producing today, not what it is capable of producing a year after you buy it provided you can increase the rent. Knowing how much the present owner paid for the property may be some help in your negotiation, but has little or no value in determining what the property is worth today. You can try advertising your property yourself, but you may consider listing it exclusively with a knowledgeable investment property agent in order to obtain best results. He has the leads and contacts that you may never be able to locate on your own. Why “exclusive”? It seems to be common practice in most areas for sellers to give only an “open” listing when he the seller is still free to offer it to other agents or sell it himself without paying a real estate professional fee (commission). Most investment property agents will shy away from this type of listing, or at least give it a very little attention. Why? Because they have virtually no protection. They may locate a buyer and show him the property, complete with all the detailed information on the investment, which they have spent considerable time preparing. The next thing the agent knows is that the buyer has contacted the seller directly and made a private deal, cutting the agent out altogether. If you decide to employ a property agent, be honest with him. A good one is well worth the fee he is paid. I apologise for a “plug” for the investment property agent, but you would be surprised at the number of beginning investors who make costly mistake due to lack of knowledge of investment real estate. But still, you can learn to “do it yourself”. 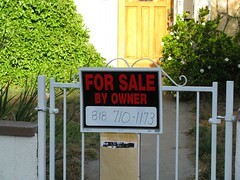 You will no doubt receive many calls on your “For Sale By Owner” ad. Chances are 90 percent of them will be from real estate agents looking for a listing. If you decide to cooperate with an agent on an “open listing” basis, do not spread your property all over among several agents. Pick one or two that are qualified to represent you in a professional and ethical manner. Do not be attracted by the usual come-on, “I have a buyer for your property.” We all have “buyers” for well-priced investment real estate. You do not want a lot of brokers running around your property, so any broker cooperation should be on a confidential basis. 1. Never put the property address in your ad. You will have a parade of cars past your building and may never hear from one prospect. Once he knows the proce and location, he can make a judgment as to the property’s value without your help. In most cases, his judgment will tell him that the property is overpriced. You also want to keep your offering reasonably confidential from your tenants as well. 2. Do put the price in your ad. This will eliminate calls from unqualified buyers. 3. You can advertise “low down payment”. “low interest mortgage”, “excellent terms available”, etc., as long as the price is the only number that appears in the ad. 4. Make sure your headline attracts the readers and compels them to read the remainder of the ad. If they skip the headline, they’ll never call you. The mere heading, “For Sale By Owner” always attracts attention. The average buyers automatically figure they can buy at a bargain price because there is no real estate fee (commission) involved. 5. Do not try to save a couple of dollars by cutting an ad short. Paint a mental picture that will attract an interested investor. Which of the following two typical ads for an apartment would prompt your response? Both ads are short, but the second should have more emotional appeal, and hopefully, attract some serious callers. No doubt the first question you will be asked is “Why must you sell?” you can honestly tell the caller that you are purchasing a larger property. Try several different types of ads until you find one that attracts callers. Thanks for giving the tips. how much the value my house at B2-04-09,JALAN INDAH 23/1,TAMAN BUKIT INDAH 2,81200 JOHORE BARU.want to sell my house…can you find the buyer.